Last season, the club managed to finish a very respectable second in the league behind AZ Alkmaar, but more importantly ahead of well-known Dutch teams including; AFC Ajax, PSV Eindhoven and Feyernoord. At the helm of this revitalised club, is the former England manager, Steve McClaren (pictured below), and sadly he is more commonly known for this picture incident and his fake Dutch accent than his footballing credentials. I write this blog, as a Middlesbrough fan, who under McClaren enjoyed the most successful period in the clubs history. He made the transition from number two at Old Trafford to being the most successful English manager in the game (at that time). He guided the club to its first and only major trophy success (2004 Carling cup winners, as pictured below), two seasons of European football including the UEFA cup final, highest Premier League finish (7th) and an F.A. Cup semi-final appearance. Yes, many Middlesbrough fans will say ‘we played dull and at times boring football’, but we’d change that now for a return to those days, wouldn’t we? McClaren had a difficult and obviously much criticised period in-charge of the English national team, but he was the ideal choice at the time. It didn’t work out and he has had to suffer with the consequences since failing to qualify for Euro 2008. Many England fans will realise that with the current Capello regime, this may have been a ‘blessing in disguise’, though we would have loved to taken part in the tournament. 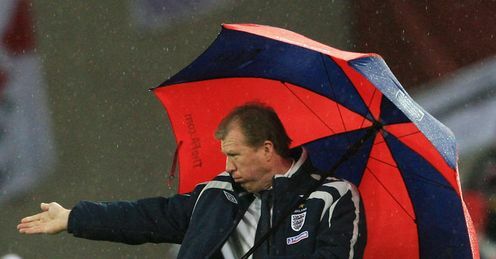 This failure has proven to have helped make McClaren and England stronger. McClaren followed his sacking with the wise decision à la Sir Bobby Robson, of moving abroad to continue his management career and a step out of the limelight has proven exactly what McClaren (pictured below) has needed. In his short but successful period at the club, McClaren has proven yet again that he is a very competent club manager, guiding Twente to second place in his first season and he is now battling to bring the club major trophy successes. His statistics as a manager prove he is a reasonable success in the game and will continue this success at the highest level. He has a win success rate of 61.73% with Twente and yes I agree the Dutch league is not the strongest in Europe. This backed up by a career management win ratio of 44.70%, which I think you’ll agree is fairly impressive and easily forgotten against his England failings. I certainly hope Steve continues his success with Twente and I feel it will soon be the case of him managing in the Premier League in England again. I certainly wish he was still in-charge of Middlesbrough, then maybe we’d be in a better position than we now find ourselves. Hope you continue the good work Steve and bring success to one of the lesser fancied teams in Europe as you so fondly did with my Middlesbrough. Enjoy your weekends sporting viewing. P.s. I am very pleased to see Pep Guardiola sign a one-year contract extension with F.C. Barcelona. Well done for making the right decision Joan Laporta (club president).